BOISE – Prompting shouts of protest, a Republican-backed measure requiring pre-abortion ultrasounds in Idaho cleared a key Senate committee Wednesday on a party-line vote. The 7-2 vote followed two hours of emotional testimony, mostly in opposition to the proposal, and came as lawmakers in a growing number of states confront similar politically charged debates. 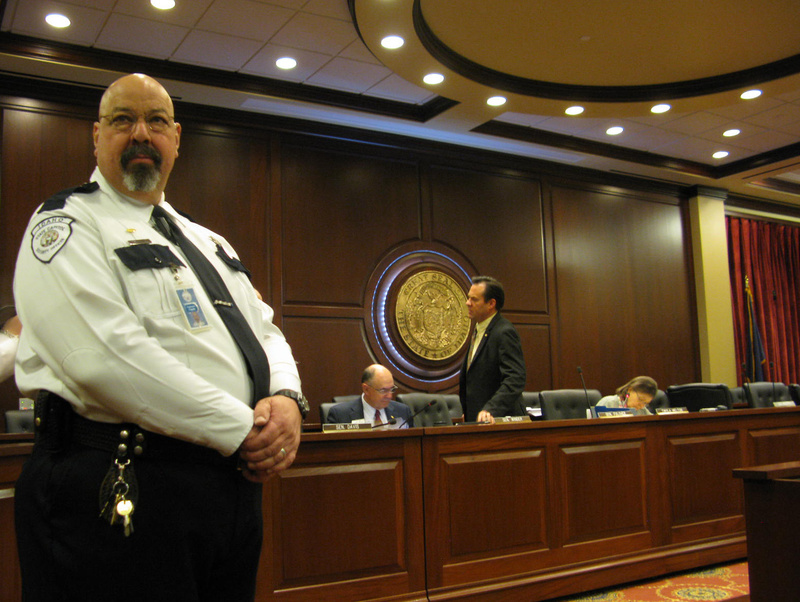 Security guards at the Idaho Capitol quickly moved to stand in front of the senators as they gathered their computers and papers to leave the committee hearing in front of a crowd of 250; the bill now moves to the full Senate for a floor vote. Sen. Edgar Malepeai, D-Pocatello, moved to kill the bill, but Senate President Pro-Tem Brent Hill, R-Rexburg, urged passage. She compared the bill to requiring doctors to perform a spinal tap on every person with a headache or requiring all children to be vaccinated, even if their parents object. “Do not allow your real concern for the unborn to intervene in the rights of the patient or of the medical profession,” she said. Sue Philley, of Boise, presented a petition with 4,000 signatures against the pre-abortion ultrasound bill. “Health care decisions are best made by patients and their medical providers, not politicians,” she told the senators. “This government intrusion into private lives makes a mockery of the expressed Republican goal of less government.” Her statement was immediately greeted by loud applause. After it died down, Senate State Affairs Committee Chairman Curt McKenzie, R-Nampa, admonished the crowd to not make outbursts. Sen. Michelle Stennett, D-Ketchum, called the bill “unconscionable.” But she and Malepeai cast the only two votes against the bill. Opponents said it would require women to undergo invasive transvaginal ultrasounds, because those are the only procedures that yield information in early pregnancy that the bill requires to be recorded from the ultrasound. Winder said the original bill specifically mentioned the more invasive procedure, but he altered it to take that out and leave the choice of procedures up to the patient and physician.